Oil and gas regulatory authority is busy working on an initial report to increase the fuel prices by 15 % from March 1. Although the international crude oil prices have reached a new two and a half year standing above 105 $ per barrel, ministry of finance says that the increase in fuel prices is due to subsidization hit that government have taken of Rs15 billion. 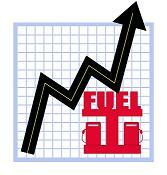 And latest revision of fuel prices is going to be done to transfer the subsidization hit government had to suffer. It is reported that even though the crude oil prices were soaring high in the international market since the past two months, the government resisted raising the prices for political reason. IMF is also likely to suspend loan payments of $11.3 billion incase government subsidizes the fuel prices to avert price hike. Federal Secretary for Environment Khawaja Muhammad Naeem while addressing a workshop on “Globally Accepted Practices for the Promotion of Energy Conservation and Safety Standards in Different CNG Applications” said that Pakistan energy mix is highly dependent on oil and gas and Pakistan spends around $10-12 billion a year on import of crude oil and related petroleum products to meet its energy requirements. However, it is working on policies to substitute liquid hydrocarbon fuels with natural gas in a bid to cut its import bill and improve the environment. Today, petrol and diesel prices currently stand at Rs73.12 per litre and Rs78.49 per litre making it seem like a luxury in Pakistan. Vice President Karachi Chamber of Commerce and Industry (KCCI) and Central Chairman, All Pakistan CNG Association, Junaid Esmail Makda has suggested that petrol pumps sell CNG so CNG pumps should also be allowed to sell petrol and diesel. He pleaded that owing to gas the outage of two days in winter season, CNG pumps should be allowed to sell petrol and diesel enabling and providing a level playing field. He also pointed out that although Rs300 billion has been invested in the CNG sector with tax contribution of Rs45 billion, the CNG sector has not been granted the status of industry whereas freight forwarders have the status of industry.